A £20 million HS2 apprentices&apos; college and a huge Unite training centre are the latest plans to boost the regeneration of Birmingham&apos;s burgeoning Eastside. The Post understands a bid is being submitted to Government to win the HS2 college for Eastside Locks, in the city&apos;s university quarter. The college would train up to 2,000 apprentices needed to build the controversial high speed rail line. Meanwhile, Unite the UK&apos;s biggest trade union, is set to invest £35 million in a 100,000 sq ft-plus UK training centre in nearby Jennens Road, bringing thousands of people a year to the city. The proposals come as plans for a new purpose-built Conservatoire in Jennens Road have been lodged and an extension to Millennium Point mooted. The HS2 college would train a generation of "world-class engineers" to build the new high speed rail line between London and the north of England. The college forms part of wider £1 billion plans for the city to make the most of HS2 by creating up to 50,000 jobs and becoming a centre of excellence for rail and help plug the engineering skills crisis. The Government is expected to make its decision before the summer, with Derby, Milton Keynes, Manchester, Crewe and Stoke-on-Trent also thought to be submitting bids. But MP Gisela Stuart (Lab Edgbaston) said Birmingham had the strongest case for the college. She said: "I fully understand Derby and Milton Keynes bidding, and I am sure they can make a good case, but the whole point of HS2 is the greater connectivity and a greater shift of economic development further north. First, the geography of Birmingham makes it the right place. "Secondly, if the college was at Eastside, it would be near to the Curzon Street station, and that is the right place for all the excitement about what a modern railway should be all about. "Then thirdly, there will be the opportunity for local people to train for jobs which we need in this city." 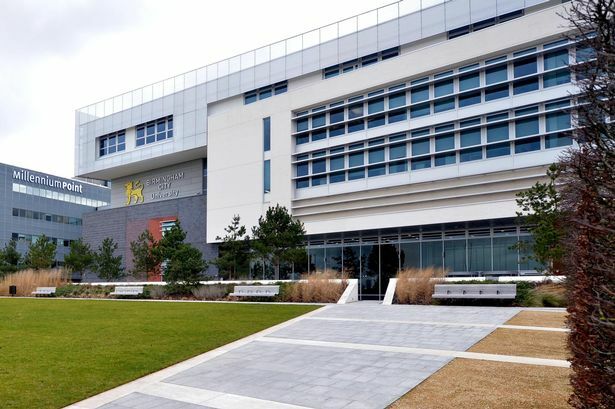 The Greater Birmingham and Solihull Local Enterprise Partnership (GBSLEP) has approached colleges and universities in the region to help draw up the bid but declined to comment when contacted by the Post, as the bid is not yet finalised. However, in a previous interview, deputy chairman Steve Hollis said the college was a vital part of plans to boost engineering skills in the region. "It is a great opportunity to demonstrate the confidence that the Government has in our regional economy that we have got the talent to be able to do these things," he said. Birmingham has the advantage of being integral to the first phase of HS2 from 2026 while the second phase to Leeds and Manchester will not be in place before 2033. The college would open by 2017 when construction on the route is likely to begin. Meanwhile, plans for a huge £35 million Unite national education and training centre, to include a delegates&apos; hotel, went before Birmingham City Council&apos;s scrutiny committee last month. The proposals stand to bring more than 100 jobs to the city and attract thousands of visitors a year with major education and conference events. Gerard Coyne, West Mildands regional secretary for Unite, said the union would be moving out of its current regional office in West Bromwich and closing its Broad Street base to be under one roof. He added: "It is a massive investment and fits with the development plan for the Eastside area in that it will bring education for working people. This really will be a huge benefit for the city." Unite is currently in talks with three chains over running the hotel and Mr Coyne said the guaranteed business from Unite is attracting new names. The giant facility – the size of two football pitches – would include a conference centre for 400 people and, if it is given the green light, is expected to be in place before 2017.